The publication of the new joint ESC/ESA Guidelines on non-cardiac surgery: cardiovascular assessment and management introduces a number of recommendations in the field. Among other topics, the Guidelines include updated information on the use of clinical indices and biomarkers in risk assessment, and the use of novel anticoagulants, statins, aspirin and beta-blockers in risk mitigation. Beta blockers may boost survival in patients undergoing definitive radiotherapy for non-small-cell lung cancer, suggests research published in the Annals of Oncology. Merz, Inc. today announced the acquisition of CUVPOSA (glycopyrrolate) oral solution for pediatric chronic severe drooling associated with neurologic conditions such as cerebral palsy. Users of common antihypertensive drugs, such as hydrochlorothiazide and nifedipine, may be at increased risk for developing lip cancer. A new study has found that, contrary to current thinking, taking beta blockers that treat high blood pressure does not decrease a person's risk of developing colorectal cancer. Published early online in CANCER, a peer-reviewed journal of the American Cancer Society, the study also revealed that even long-term use or subtypes of beta blockers showed no reduction of colorectal cancer risk. Weight gain or loss may not always be caused by what you eat or how much you exercise. For some, it's the medicines you're taking. The American Academy of Neurology is releasing an updated guideline on how to best treat essential tremor, which is the most common type of tremor disorder and is often confused with other movement disorders such as Parkinson's disease. The AF AWARE campaign today, at the European Society of Cardiology (ESC) Congress 2011 in Paris, announces the launch of the Atrial Fibrillation in Primary Care (AFIP) tool, developed to help primary care physicians (PCPs) with early diagnosis and optimal management of patients with atrial fibrillation. A study published in the July issue of The American Journal of Medicine, reports that among hypertensive patients with coronary artery disease, chronic self-reported use of non-steroidal anti-inflammatory drugs (NSAIDs) was associated with an increased risk of adverse events during long-term follow-up. Long-term NSAID use is common for treatment of chronic pain. A side effect of many commonly used drugs appears to increase the risks of both cognitive impairment and death in older people, according to new research led by the University of East Anglia. British scientists warn that well known brands of hay fever tablets, painkillers and sleeping pills pose a previously unknown threat to elderly people’s health when taken together. Many are available over the counter at pharmacies as well as being prescribed by GPs, nurses and chemists they said. Shionogi Inc., the U.S.-based group company of Shionogi & Co., Ltd., today announced the U.S. commercial availability of CUVPOSA™ (glycopyrrolate) oral solution, the first and only FDA-approved treatment to reduce chronic severe drooling in patients aged 3 to 16 with neurologic conditions associated with problem drooling, such as cerebral palsy. The World Heart Federation, sanofi-aventis and Boehringer Ingelheim have announced their collaboration on the AF AWARE campaign today, to raise awareness of atrial fibrillation (AF) and its links to severe consequences including cardiovascular mortality, stroke and CV hospitalizations. 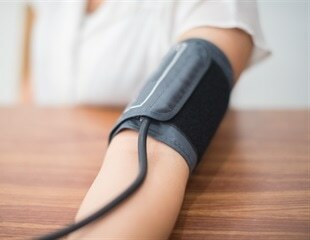 An elevated resting heart rate that develops or persists during follow-up is associated with a significantly increased risk of death, whether from heart disease or other causes, researchers from the Ronald O. Perelman Heart Institute at NewYork-Presbyterian Hospital/Weill Cornell Medical Center found studying outcomes in more than 9,000 patients. Shionogi Inc., a U.S.-based group company of Shionogi & Co., Ltd., today announced the U.S. Food and Drug Administration approval of CUVPOSA™ (glycopyrrolate), the first liquid treatment for patients ages 3-16 who suffer from chronic severe drooling associated with neurologic conditions such as cerebral palsy. CUVPOSA™ was designated an Orphan Drug by the FDA. Nifedipine, a calcium-channel blocker, was shown to decrease lower esophageal sphincter pressure and increase esophageal acid exposure time, while atenolol, a b1 blocker, was shown to inhibit relaxation of the smooth muscle of the esophagus. However, the influence of these anti-hypertensive drugs on the segment of esophageal body contraction using high-resolution manometry was not fully investigated. It has been common knowledge for a number of years that grapefruit juice can influence the absorption of certain drugs, potentially turning normal doses into toxic overdoses.